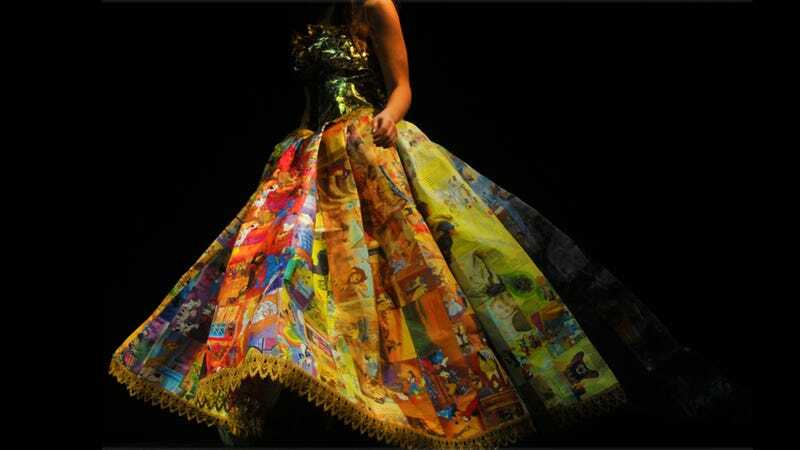 This amazing gown was constructed entirely out of discarded and recycled children's Golden Books. There's no better Cinderella gown than a dress made out of a Cinderella books. The skirt is comprised entirely of the illustrations from the books sewn together with metallic gold thread, and the bodice is made from the books' foil spines. Both the bodice and top of the skirt have tape backing for reinforcement.